What letter should It be after the processor number H or HQ or something else ? Hey all.. looking to get back in the game after a few years out and need to know running specs for fm19. Don't mind some loading time (20 mins end of season) as example but not loads.. If your budget is in the Surface Pro market then get the best processor you can - not a Surface pro. See the opening post of the thread for some tips to spot the best computer you can. I’m after a new laptop for family use but also good enough to play fm. I’m at a loss with all this processor, ram and hard drive talk. I’ve seen a few laptops suggested on here and a bit over my budget of around £400. I’m used to having Acer Aspire laptops. Are there any that someone could recommend please? Luckily, it's an Acer Aspire. See the opening post in regards to lowering your expectations for FM. Not sure how the game will be in portrait mode of the monitor. Typically, the intel processors with an 8th gen then a H, with 7th gen it's down as HQ. There are others ones but that's the basics. Am after portability, would those graphics cards/laptop handle FM using 3d with say 3/4 leagues 10+ divisions and the 3d match engine of fm19? Thanks a lot for your help. Would the one you suggested be better than this one too? I notice the ram is bigger but the memory is smaller? Quite a difference in price range with the AO one - what is your budget? HD 4000 is much better. Absolutely not to what part? So then one you suggested is better? I just took a 2nd look and the processor is noted as being a I5-7200UY - and I cannot find that model anywhere, I presume it's a typo, given it had a "Y" extension on the laptop number I thought it was geared for ultraslim notebooks, which doesn't seem to b the case, as it appears to be a typo on the website. If it is a typo - then the 7200U would be a better option than what I suggested. Sorry for the bum steer - but the typo their website threw me! This is the ideal, I know, but I just would prefer something a little cheaper. 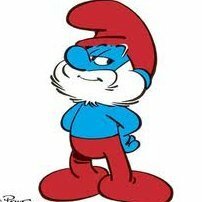 Thank you for your help smurf. You told me previously it should be between the first 2. The thing is, I had an Acer before which only lasted 3 years (although tbf this was probably due to poor maintenance). In terms of MSI I have heard mixed reviews about them. Moreover, I'm always quite sceptical about buying from online retailers as I'm unsure on their warranty and procedure for if e.g. I have some hardware problems that I can't fix. 1. Which of the above laptops are the best value for money? 2. What is better - an i5HQ processor or i7U processor? 3. Is it worth getting a gaming laptop even though I will probably only be playing Football Manager? 4. If I were to get a laptop with just SSD (like the Acer Aspire 7 one), how easy would it be to buy an HDD later on if/when I need it and use that as well? 5. What is faster in general - SSD or SSD and HDD? It's a bit out of budget, I'm not sure if I'm willing to spend £700 on a laptop. In my experience the ones that I've owned have only lasted for 3-4 years. I'm just quite sceptical when it comes to spending so much. Is this worth the extra £50 for an i7 processor and 16 GB RAM? Last one I promise. I’ve narrowed it down to these two. Which one is better please? Smurf how about this one? 5 SSD is faster - but has little impact for FM. This for £700, surely this is the best deal for black Friday? Anyone found anything better inbetween £600-800??? Wonder if you can help me out. I currently have a Sony Vaio that is 6 years old. Current basic specs are: Intel core I7 3612 QM @ 2.1ghz, AMD Radeon graphics MSeries HD 7500. Windows 10 64 bit, Full HD, BD Drive, 8 GB ram, with a 750GB HDD. If I was to get an equivalent laptop today? what would I be looking at for a best deal and price? If I say my budget is around £750.. that's what I paid 6 years ago for this machine. Just to add, I use this laptop mainly for FM, but I also play Flight Sim occasionally and ETS2. Nothing wrong with it - but just a few that caught my eye. Few suggestions above - where would you normally buy from? Im open to suggestions. Normally id stick with Sony as I have done for every laptop I have owned. But now they don't manufacture laptops anymore Im stuck for a new brand that's going to be as reliable. It's a little more expensive than I was initially wanting to pay, was originally looking to spend £700-odd, only really want it for FM and then general things such as web browsing, word, excel, etc. I have seen a few other laptops which are cheaper but then they only have i5 processors. This comes with what to me, looks like a good i7 processor and 17" screen which for me is a good thing, my old laptop was 17" (although I wouldn't rule out 15") and portability isn't particularly important to me. Feel free to recommend anything else you may think is suitable, the way i'm thinking at the moment is I don't mind upping my budget into the £800s if the improved processor is worth it. Going to be using it for general uni work and FM so want a good all rounder. PAge won't load for me due to heavy traffic it says. Is this a good deal, any good for FM? Apologies but I'm back. I promise this will be my last post. What are your thoughts on the above laptop? It's ok - but don't expect to be loading too many leagues etc. Should be ok - depends on which model - can you elaborate? Any movement on your budget? Just wondering which one you woukd choose out of these 2, going to take the plunge and order today. I'd definitely go with the first one, as the processor is better not just on single core (which most of FM works on) but it has more cores in total which is good for games that utilise multiple cores, so it'll be better for general gaming too. How does this laptop fair up for FM. Looking to spend £600max really. Best I can find - both identical specs. Both are very similar. The i7 has more cores and i would to check out the difference in single core performance. But id be confident theyre similar. But if your budget is that high i will take a look later. Sitting down with family for a Sunday roast!!! Back soon!